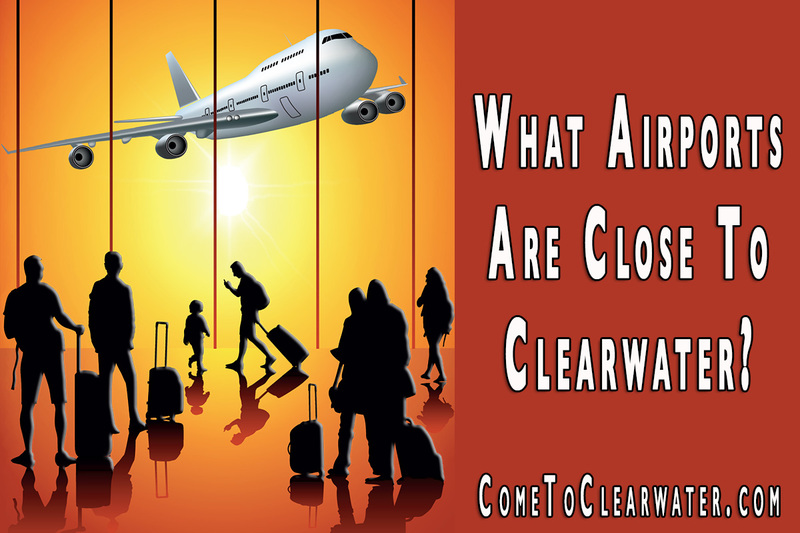 What Airports Are Close To Clearwater? Planning a trip to Clearwater, Florida? Planning a move there and want to tell friends and family how best to come visit? Well, there are two airports close by: Tampa International Airport and St. Petersburg-Clearwater International Airport. Both are within 20 miles and both bring the beach close as can be! Tampa International Airport (TPA) is an airport that has daily international and domestic flights to and from Tampa, Florida and the surrounding communities. It is 18 miles from Clearwater. It’s a public airport that services 18 airlines and is a hub for one (Silver Airways). The airlines it services are Air Canada, Alaska Airlines, American Eagle, British Airways, Cayman Airways, Copa Airlines, Delta Air Lines, Edelweiss Airlines, Frontier Airlines, JetBlue Airways, Lufthansa, Silver Airways, Southwest Airlines, Spirit Airlines, Sun Country Airlines, United Airlines, WestJet. It also serves 80 non-stop destinations, including international service to the Bahamas, Canada, Germany, Mexico, Panama, Switzerland, the United Kingdom, and to destinations throughout the Caribbean. The airport closest to Clearwater is St. Petersburg-Clearwater International Airport (PIE). It has domestic flights with low cost carriers. PIE is a focus city for Las Vegas-based carrier Allegiant Air and also services Sun Country Airlines and Sunwing Airlines. This is because it’s a less busy airport than Tampa International Airport. It’s also why it’s a great airport to fly into. Low cost airfare and less crowds to navigate on your way out. Not to mention it’s closer to your destination. So why drive when you can easily fly!